FisherOfMen has attached these 7 pictures to aid in identification. The message is below. Posts: 115 I finally found an old guide website! The guide has long since returned to the states... But his site still shows the most common creepy crawlies in this amazing country! Posts: 2871 Nick, without exact identifications of each insect and a key for Korea, it may be hard for many of us over here to guess about hatch times. See if you can find a local shop or someone who flyfishes to help you out with that. Basic patterns for upwing mayflies will be an adams for darker bugs and a light cahill for the lighter ones (parachute or catskill design). Or you can use a dark and light comoaradun. 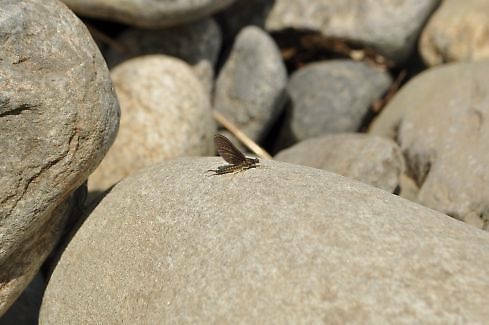 An elk hair caddis will cover the downwing caddis, and a foam beetle or hopper will work for the terrrestrials you show. 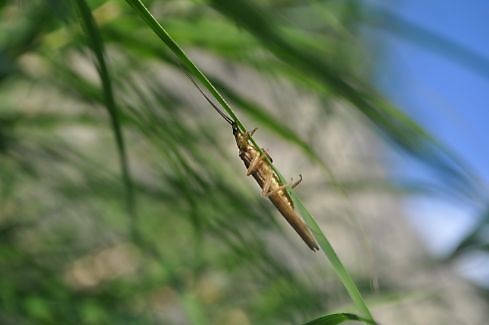 The other bugs at the top, first a tan or brown looking stonefly then a green bodied stonefly, can be covered with a caddis. Just match the body and leave the wing sparse. You can use Google to find the bugs, fly patterns, and tying instructions. Good luck. Posts: 1776 Very cool that they are so recognizable, at least by family. Looks like your NA flybox would do find. 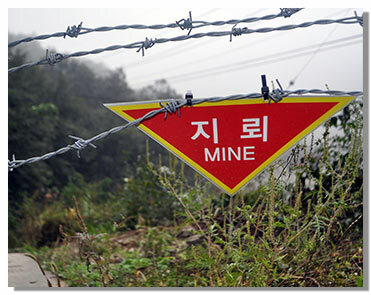 These photos are mine. They were yanked "borrowed" by another poster that found my writing portfolio. I am not the "Old Guide" the "Old Guide James" was a dear friend of mine. I've been guiding in Korea in his footsteps since 2009. These photos were taken with a Nikon D-90 between April - June in 2012. 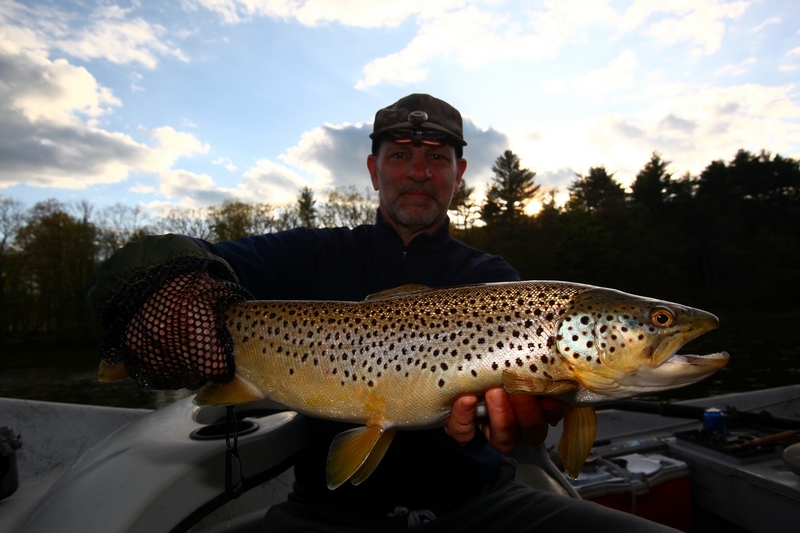 Some of these photos were used in issue 3.3 in the Fly Fish Journal 2013. You can find the full taxonomical info by locating that issue. Off the top of my head without latin names they are (1) Giant Oriental Golden Stonefly (2) Tiny Green Stonefly (3) March Brown (4) Caddis of unknown subspecies (5) Jewel Beetle (6) Spring Virgin Mayfly "These are the first mayflies to hatch in Korea of significance in April (7) Common grasshopper sitting on my side view mirror. I'm glad other people found these photos interesting. If anyone has any questions about the specific and non-general names I used here, I will look them up in my journal and post that information for others to study. Posts: 2871 Cool, Matt. Thanks for the update and clarification. We generally discourage blatant advertising, but your informative post and the inherent interest of your operation make your inclusion of your URL acceptable. Hope I get over that way sometime. Posts: 3 Martin - I've been following this forum over the years and it's a great resource with loyal users. Thank you for allowing me to post a commercial link. 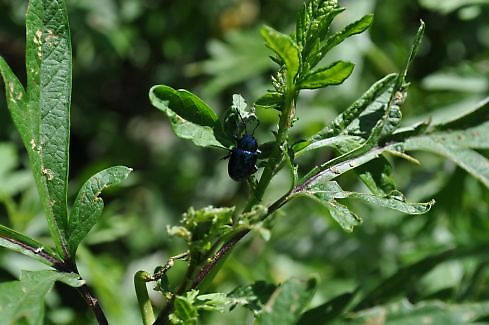 For the guys interested in these bugs, firstly don't tie the blue jewel beetle. It's a pretty but useless pattern.The editors at FFJ just liked that shot I suppose. A regular black deer hair bug works just the same. 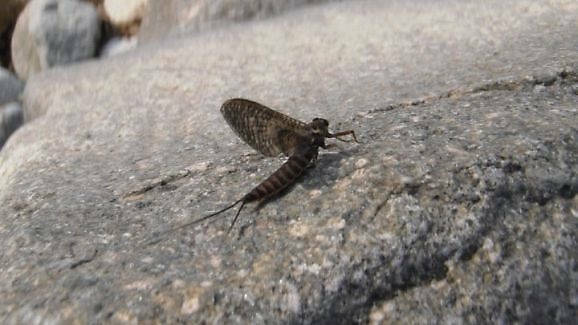 As for the hot patterns in early spring, The mayfly called the "Spring Virgin Mayfly" is a literal translation from the Korean word. # 37 on the PDF below Cinygmula grandifolia (Tshernova, 1952) or ? (Spring) ?? (Virgin) ?? One Day ?? Living "thing"
In the 6th photo, that mayfly is thought to be the Spring Virgin Mayfly. 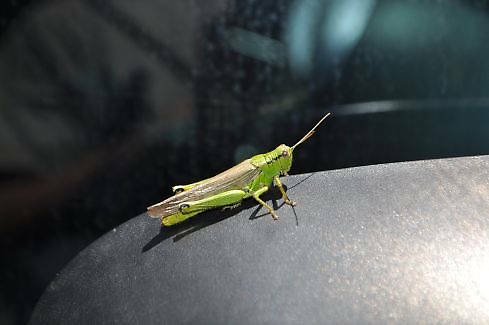 There are not huge hatches, but there are smaller hatches when bugs can be spotted crawling around, drying off or buzzing. Cinymula grandifolia. For guys interested to tie and it catch successfully, the best imitation I've found is to tie a size #14 -16 Mosquito with using a quill body with a dark yellow dubbing under. It should look a little bulkier than a standard mosquito. Tie it regular and it's hard to see. Tie it as a parachute and it save your eye sight. Another guide pattern is the Quill Gordon in a dark color. 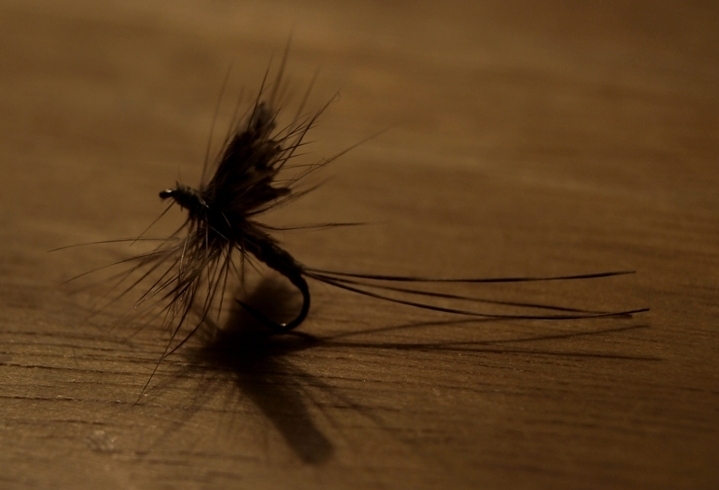 Stonefly& Caddis patterns should be sized down to size #14-18 as the trout here will spook at larger flies. 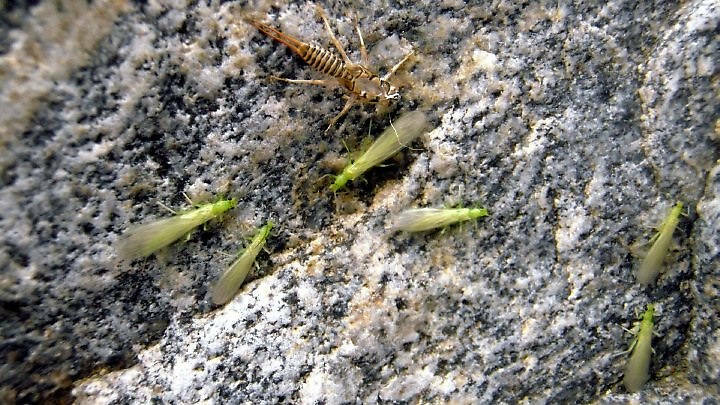 A Stimulator is a good representative attractor to imitate either a caddis or a stonefly. Hoppers - Late summer / autumn or larger waters next to cornfields. Wait for the afternoon "hell-winds" that rip through the canyons. 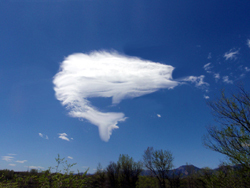 Fish will eat during bright sunshine with a funky hopper pattern floating alone. Another thing to consider when fishing clear, sometimes shallow freestone creeks is to use a very long leader and tippet combination. 6x only on cloudy days. With your leader and tippet at 14' / 4.2 Meters. Use Parachutes because the glare can be overbearing. Also helps flies to stay up in the constant bubbles and falls. That "Spring Virgin Mayfly" is an Ephemerella that looks for all the world like the N.A. 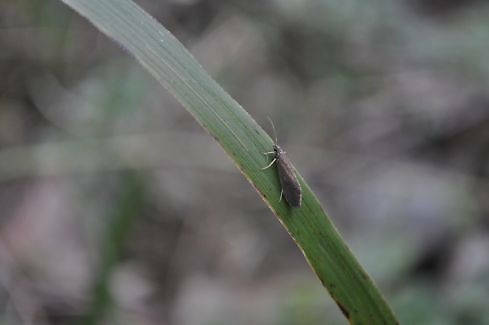 Ephemerella subvaria (Hendrickson) -even the emergence date (early to mid-Apr) is similar. Posts: 7 Im about to fumigate my house against bugs next month..
Re: I need your help to get some specimens of Caecidotea (Freshwater isopods).